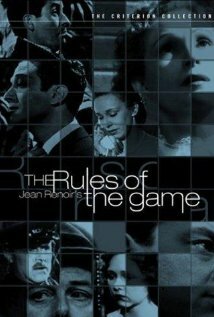 Often cited as Renoir's best work and counted as one of the greatest films of all time, The Rules of The Game is a piece of work from the French Impressionist Cinema that is credited with unprecedented camera works, novel editing techniques, and Mise-en-scene styles. The film deploys familiar tragic and comedic elements to depict the worthlessness of French upper-middle class in the1930s. 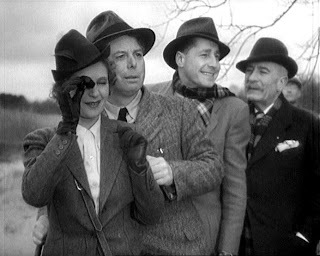 The film analyzes upper class social animals whose lives are full of unending sequence of parties, frivolous gossips, moments that reek of moral superiority of the upper class, and romantic entanglements that are flagrantly illicit. The essence of the film is that Robert and his wife Christine host a hunting excursion at their colossal country estate. Among the guests are Robert’s former mistress, a world-famous airman who claims to be in love with Christine, and a goofy character played by Renoir himself who is friends with all of the above characters. These characters constitute the cream of the upper class. Downstairs, the household staff is a miniature version of the upper crust that’s partying upstairs. The characters downstairs are trying to follow the example set for them by the upper class bourgeois. Christine’s maid, Lisette has her own world of flirtatious activities while her husband, Edouard, a gamekeeper at the country estate, is the only person who tries to maintain order in the estate. The inconstant and adulterous affairs continue throughout the film and the characters are in perfect moral agreement with all of these because no one takes anything too seriously. Indulge in dalliances but abstain from upsetting the social order of things - The Rules of The Game. Renoir is visibly honest about the foibles of his characters. The film heavily relies on its comical timing and excels at it. Renoir believes in the fluidity of scenes and avoids cutting scenes into a collage of small shots. That is what defines this film and elevates it to a classic level in terms of technical superiority. When characters run through hallways and engage in physical jostles, Renoir avoids cutting. He prefers long and unbroken takes and follows characters with a watery camera. Another virtue of the film lies in its exploitation of visual depth. The deep focus fills the frame with moments large and small to enjoy and appreciate. The classic value of the film lies in its ability to invent cinematic techniques unfamiliar in the 1930s and to approach a novel subject matter much ahead of its time. The Rules of The Game is humorous, sarcastic, and finally sad while also is a great example of technical brilliance.